It is perfectly reasonable if you are thinking of booking a stay in a luxury hotel to ask to see a guest room. Hotels are usually more than happy to do this, perhaps showing you several rooms so you can decide whether the room is big enough, the extra money for a suite is worth it or which view you prefer. Problems arise when the hotel is full and there are no rooms to show you. 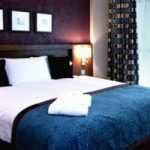 This situation can often be avoided if you call the hotel beforehand and ask when there is likely to be a room to view or you choose a traditionally quiet time like Sunday afternoon. But if the hotel is full, it is full. In fact recently, I was beaten to a guest room viewing by the guests themselves, who had checked in early. My guide was alerted on her walkie-talkie. But what if guests have checked out but the housekeeping team have not prepared the rooms? Some hotels have a policy of never showing a room that is ‘unready’, not even to travel journalists. Whilst I can understand the thinking, in practice I think this is a foolish step. The fact that someone wants to see a room in the first place shows that there is interest. Does the hotel really think that an unmade bed or a few wet towels on a bathroom floor will so distort the impression of the hotel that it will work against them? The foolishness of this policy was played out before my eyes recently. I won’t name the hotel, because I imagine the member of staff was only following head office orders. A man came up to the front desk. He said he had been to the area many times over the last thirty years but had never stayed at this hotel. He was thinking of booking for next summer with his family. Could he see a room now? By now, it was becoming rather silly. Did the clerk really think that the man would want to hang around at the hotel for three hours until a room had been cleaned and he could view it? I could see the exasperation in the man’s face. In a few minutes, a potential guest had gone from feeling quite positive and wanting to stay at the hotel to being mightily peed off and probably resolving never to come back, ever, never mind in three hours. Or if he did come back it would be with a few sticks of dynamite. Good hotels employ staff who can think on their feet, who go off the script occasionally. It may be head office policy to never show unready rooms but in this case they almost certainly lost a booking.